Hoodsport is a community in Mason County that’s tucked between the Hood Canal and the Olympic National Forest. 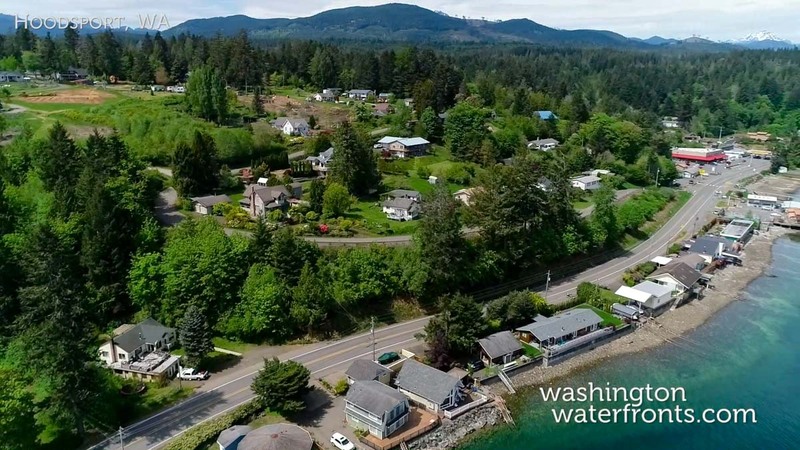 With Hoodsport waterfront real estate, you’ll be less than 30 minutes from Lake Cushman, Alderbrook Golf Course, Lake Cushman Golf Course and numerous beaches as well as some fabulous parks like Potlatch State Park. If you're into spending your time outdoors, this is your ultimate paradise, with everything from some of the best shellfish harvesting, fishing and boating to hiking and so much more. Your Hoodsport waterfront property will put you right at the center of it all, and the views you'll enjoy from your property are definitely a plus. When its tasty cuisine you’re in need of, you’ll find several fantastic dining options in and around Hoodsport for picking up some delicious eats. Even if it’s wine and chocolate you’re craving, you’ll be able to pop over to the Hoodsport Winery and indulge all you like, and even bring some back to your Hoodsport property to enjoy with that spectacular water view. Between all the activities and the abundance of impressive scenery you'll get to experience on a daily basis, it’s hard to beat this location. The majority of Hoodsport waterfront real estate was built with the intention of incorporating nature and the exquisite views into the design of the homes, both inside and out. Whether the rain is pouring down, or the sun is shining brightly, you'll be able to thoroughly enjoy waterfront living and all that comes with it, indoors and out. While there are some great deals on more rustic homes in this area, if you’re looking for something more upscale, you can easily find that too. Just some of the possible among Hoodsport waterfront real estate may include a fire pit, a fireplace, deck, large water-facing windows, a dock, stone accents, hardwood floors, and more. Take advantage of our industry-leading tools to make your property search as easy as possible and be sure to register for a FREE account so that you can receive email alerts whenever new Hoodsport waterfront real estate for sale hits the market. If you're seeking to sell your Hoodsport waterfront property, contact our Waterfront Specialists directly for a comprehensive listing analysis and to learn more about the cutting-edge marketing strategies we'll use to sell your home quickly for top dollar!